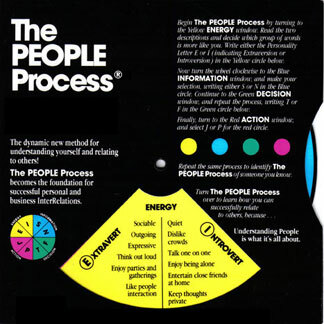 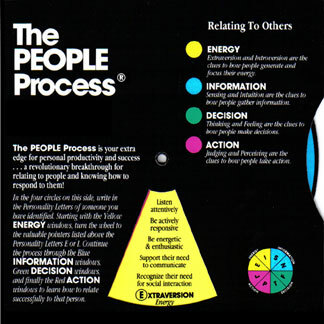 Participants determine their type by using the unique, colorful wheel to choose from a brief series of categories. 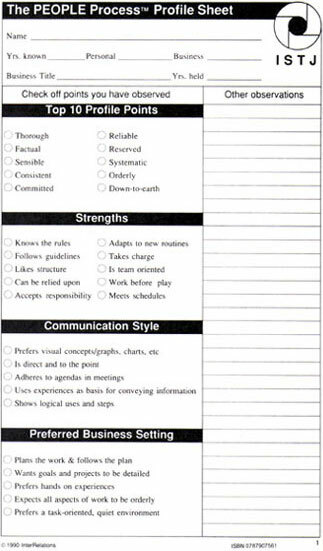 After determining their personality profiles, participants interview one another and have their traits checked against profile sheets describing common attributes of their personality type. 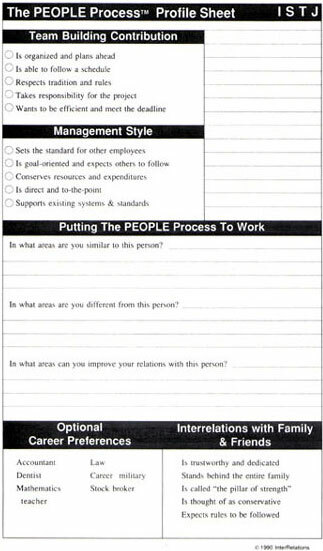 Then participants are on their way to improving work relationships and productivity.